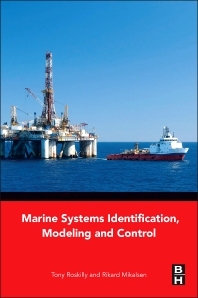 Marine Systems Identification, Modeling and Control is a concise, stand-alone resource covering the theory and practice of dynamic systems and control for marine engineering students and professionals. Developed from a distance learning CPD course on marine control taught by the authors, the book presents the essentials of the subject, including system representation and transfer, feedback control and closed loop stability. Simulation code and worked examples are provided for both Scilab and MATLAB, making it suitable for both those without access to expensive software and those using MATLAB in a professional setting. This title considers the key topics without superfluous detail and is illustrated with marine industry examples. Practicing marine engineers and other marine professionals needing a reference on the topic. Students in marine technology courses, including introductory courses to marine systems and control at undergraduate and postgraduate level. Graduates working in industry undertaking CPD/further qualification courses (like MTEC, in the UK) or self-study. Prof. Roskilly has taught marine control at undergraduate and postgraduate level for more than 20 years. He has extensive research experience and a strong publication track record in the modeling and control of complex systems. He is a member of the Technical Committee for Marine Systems, International Federation of Automatic Control (IFAC), a Fellow of the Institute of Marine Engineering, Science and Technology (IMarEST) and Editor of the IMarEST Journal of Marine Engineering and Technology. Dr. Mikalsen has supported the delivery of on-campus and distance learning courses in marine dynamics and control for more than 6 years, including teaching the use of software tools for simulation and analysis of dynamic systems and development of teaching material for these courses. In addition to his first degree in Marine Engineering he has a PhD in modelling and simulation of thermal power systems.